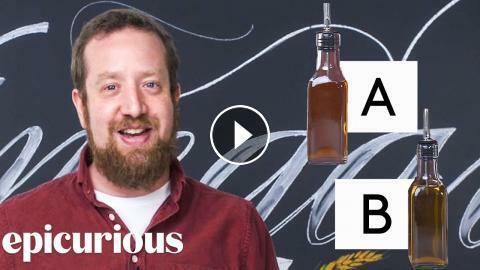 In this episode of 'Price Points', Epicurious challenges vinegar expert Michael Harlan Turkell to guess which one of two vinegars is more expensive. Michael breaks down white wine, apple cider, balsamic and rice vinegar before making his guesses! Does Drinking Vinegar Help with Gut Health?